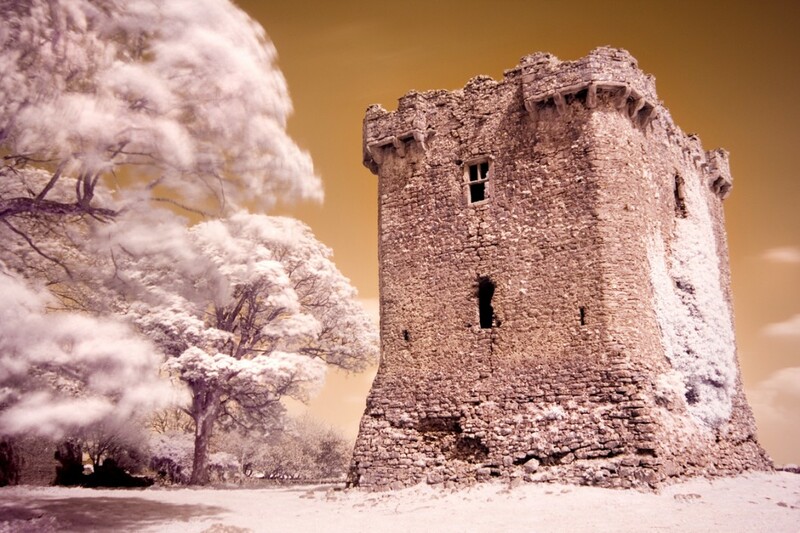 This photo of Shrule Castle was taken in March 2008. It was taken facing the back of the castle looking East.Shrule Castle was built on the Mayo/Galway border by the Norman deBurgo family of Galway in 1238. In the early 17th century the castle fell into hands of Richard Burke, the Earl of Clanricarde who then leased it to Pierce Lynch, who was mayor of Galway City from 1615-17.